Fashion retailer New Look plans to open a chain of menswear stores in one of the first moves by its new billionaire owner. And while it says it has no immediate plans to open here, it’s something which could be considered in the future. It now operates around two dozen stores in Northern Ireland. The firm, which runs more than 800 stores in 21 countries, said it plans to open five stand-alone menswear units in the UK, following on from successful trials at its Oxford Circus flagship. In May Brait, an investment vehicle of the South African retail billionaire Christo Wiese, snapped up a 90% stake in New Look for £780m. 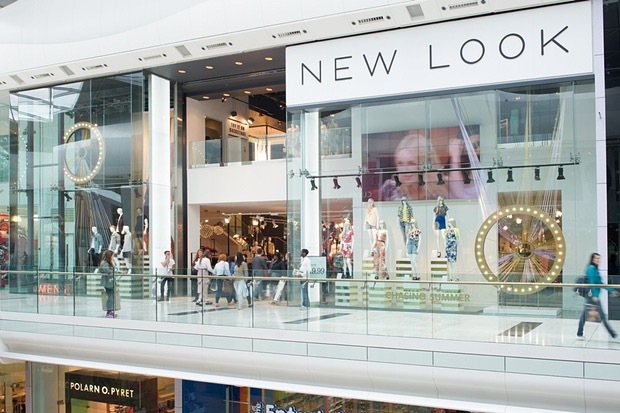 New Look has signed leases on the first of its three menswear shops in the Trafford Centre in Manchester, Wigan and Portsmouth. It is in the middle of negotiations over leases with landlords for the two other stores. The firm has around 570 UK stores. Menswear currently represents 3% of the retailer’s group sales, but it said it plans to boost this to 15% over the medium term. It added Christopher Englinde is due to join the group as global director of menswear from Swedish rival H&M in September. The group also posted adjusted first quarter pre-tax profit up 9% to £19.3m in the 13 weeks to June 27 compared to a year ago, with like-for-like sales up 4.1%, boosted by strong trading across the business. It said during the period it incurred £93m of transaction costs relating to the Brait acquisition and a subsequent refinancing, that resulted in a statutory pre-tax loss of £73.1m. The business said it upgraded a further 23 shops in the quarter, bringing the number of stores under its new layout to 351. Posted on August 12, 2015, in #retail, #uk. Bookmark the permalink. Leave a comment.